Various vertical markets, such as power and transportation, demand simplification and optimization of daily dispatch communication operations. The Aeonix Dispatch Console allows organizations to rapidly respond to incidents, emergencies, and facility events, and supports interoperable communications among users of all devices (wherever they are located). 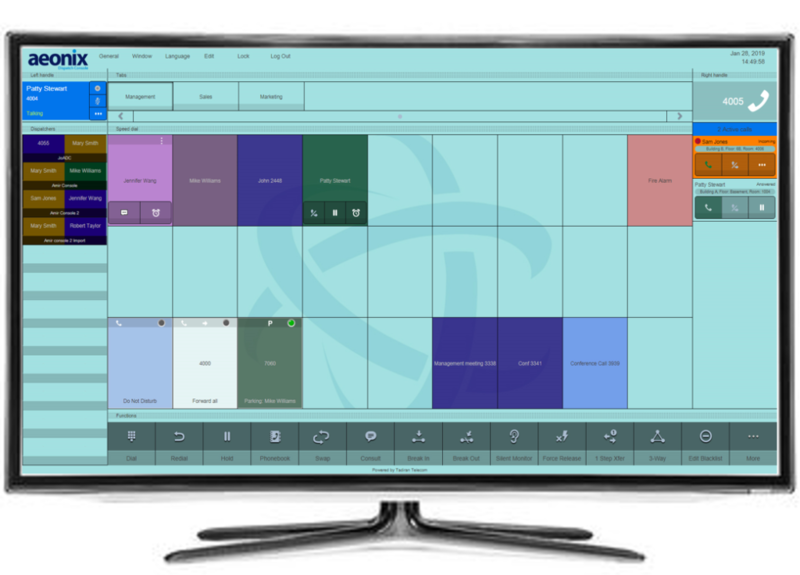 It also provides control of remote extensions through an easy-to-use on-screen interface. 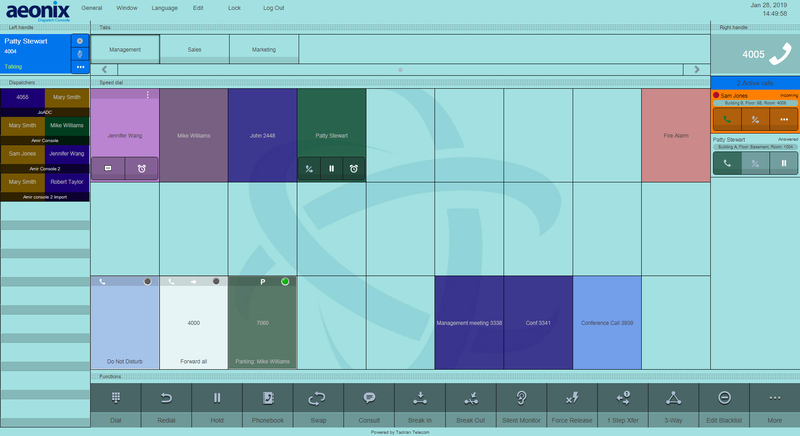 The Aeonix dispatch console allows the dispatcher to communicate with one or more peers (in pre-defined or ad hoc conferences) with a click of a button. All the calls in the dispatch system can be recorded and stored for future analysis and review. The console is implemented as an HTML 5 Web Application and runs from within a desktop web browser or from a portable device such as a tablet or a smart phone. 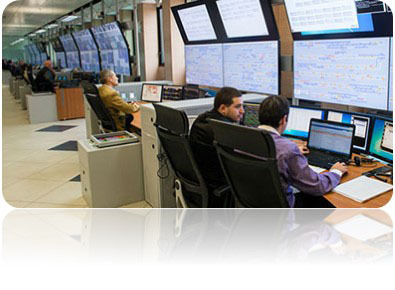 Railway operations often relies on accurate, on-time communications between a variety of sources, including stations, control and dispatch centers, and rolling stock. To ensure safety, security and uninterrupted service all these facilities must be in real time structured communications. Railway communications systems (RCS) must provide reliable transmission of signaling, voice, video, and data traffic along railway lines and across backbone transmission networks. The Aeonix solution for Power and Energy provides robust, highly reliable networking, representing a comprehensive communications solution at all grid levels. It allows dispatchers to effectively communicate on the district, regional, and substation levels. Multiple levels of application redundancy ensure calls get through even when the network is experiencing extreme load conditions. Contact us today to find out how to secure your campus!